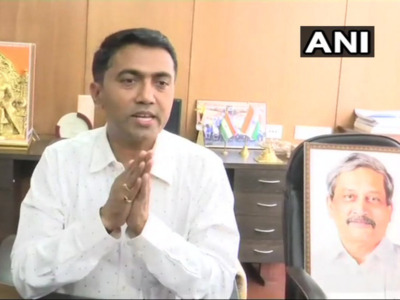 PANAJI: Goa chief minister Pramod Sawant retained home, finance and all other portfolios held by his predecessor Manohar Parrikar. Sawant on Friday allotted departments to his cabinet colleagues, three days after taking charge. Sawant, who has two deputies, distributed portfolios to all the 11 ministers who were sworn-in along with him in the wee hours of Tuesday. All these ministers were members of the Cabinet led by Parrikar, who died Sunday last. A notification issued on Friday stated all the ministers will retain portfolios which they held under Parrikar’s chief ministership. This means Sawant has also kept with himself all the portfolios which were earlier with Parrikar. These included departments like home, finance, personnel, vigilance and general administration, among others. Deputy chief minister Sudin Dhavalikar, an MLA of the BJP ally Maharashtrawadi Gomantak Party (MGP), will look after transport, PWD, river navigation and museum departments. Another Deputy chief minister Vijai Sardesai has town and country planning, agriculture, archives and archaeology and factories and boilers departments with him. Sardesai is president of the Goa Forward Party, another key ally of the BJP in the coastal state. Besides the MGP and the GFP, the BJP-led government has the support of all the three Independent MLAs, who are also ministers. 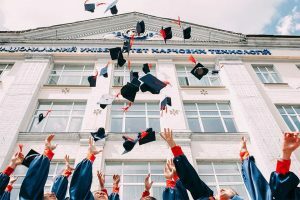 Minister Manohar Ajgaonkar (MGP) will look after tourism, sports and printing stationary departments, while Independent MLA Rohan Khaunte heads revenue, information technology and labour and employment departments. Another Independent MLA Govind Gawade has retained art and culture, civil supplies and tribal welfare departments. Vinoda Paliencar (GFP) will continue to look after water resources, fisheries and legal metrology departments, while his party colleague Jayesh Salgonkar will handle housing and housing roard, rural development and port departments. Mauvin Godinho (BJP) will handle panchayat, animal husbandry and protocol departments, while his party colleague Vishwajit Rane retains health, women and child development, skill development and entrepreneurship departments. Milind Naik (BJP) has been given portfolios of urban development, social welfare, while his party colleague Nilesh Cabral will continue to look after power, nonconventional energy, law and judiciary and legislative affairs departments. Sawant enjoys the support of 20 MLAs in the 40-member Goa assembly whose effective strength currently is 36.